The 18-hole Crown Golf Course in Traverse City, MI is a public golf course that opened in 1998. Designed by Ron Green, Crown Golf Course measures 6698 yards from the longest tees and has a slope rating of 136 and a 72.2 USGA rating. The course features 4 sets of tees for different skill levels. 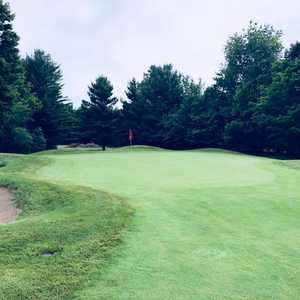 The 18-hole Elmbrook Golf Course in Traverse City, MI is a public golf course. 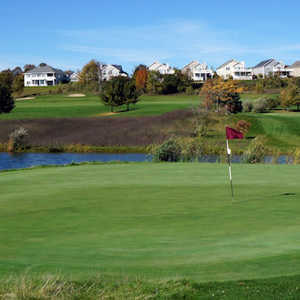 Elmbrook Golf Course measures 6021 yards from the longest tees and has a slope rating of 119 and a 68.6 USGA rating. The course features 4 sets of tees for different skill levels. The 9-hole Executive Golf Course at Bay Meadows Golf Course in Traverse City, MI is a public golf course that opened in 1995. Executive Golf Course at Bay Meadows Golf Course measures 2226 yards from the longest tees. The 9-hole Par-3 Golf Course at Bay Meadows Golf Course in Traverse City, MI is a public golf course that opened in 2000. Par-3 Golf Course at Bay Meadows Golf Course measures 2226 yards from the longest tees. The 18-hole Traverse City Golf & Country Club in Traverse City, MI is a private golf course that opened in 1915. Designed by Tom Bendelow, Traverse City Golf & Country Club measures 6330 yards from the longest tees and has a slope rating of 131 and a 70.